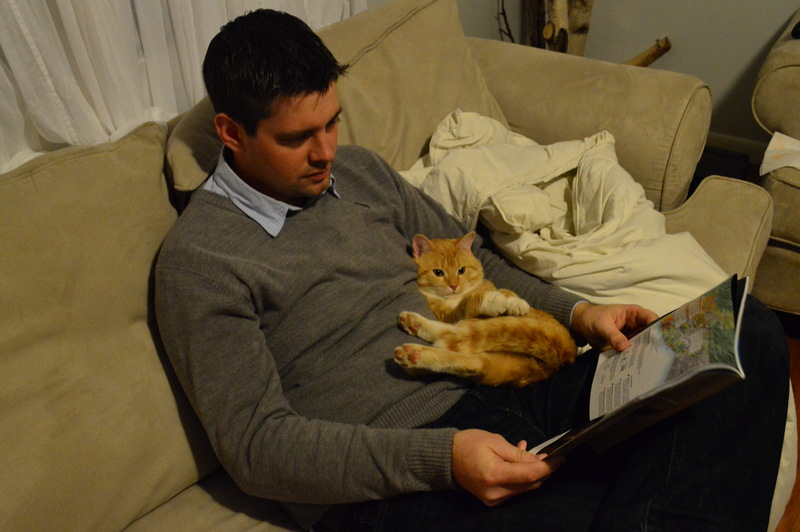 Darren and the cat spent a little time reading the National Geographic together. This entry was posted in Archives + Other and tagged Animals, Cats, Humor, Just For Fun, Life, Love, Pets, Various & Sundry. Bookmark the permalink. Adorable! 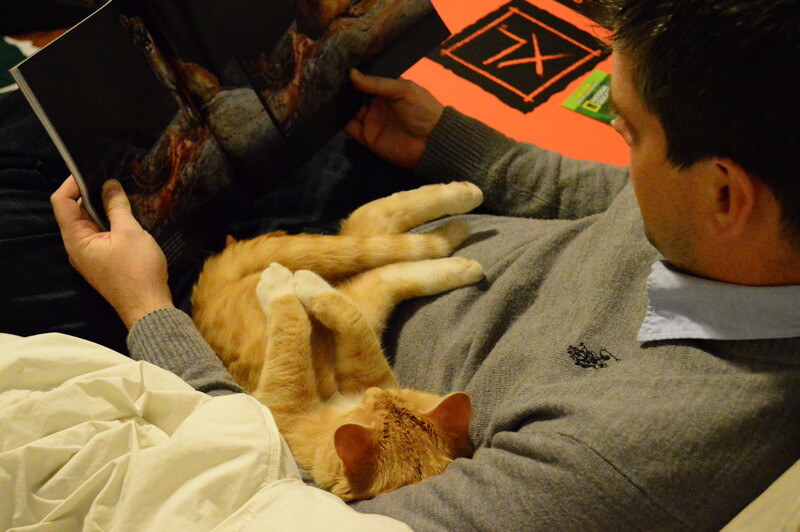 That cat certainly knows how to relax. this is great! I love this post, they both look so very comfortable. Hope you had a great holiday week!